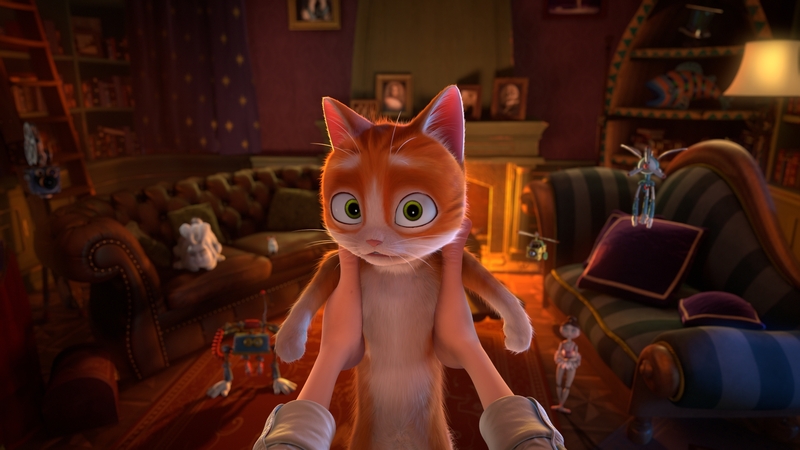 “The House of Magic 4D” chronicles the adventures of an abandoned young ginger cat named Thunder. Seeking protection from a furious dog and an approaching storm, our hero stumbles into the strangest house imaginable: a run-down Victorian-style mansion owned by an old magician and populated with a dazzling array of automatons, gizmos and performing animals. 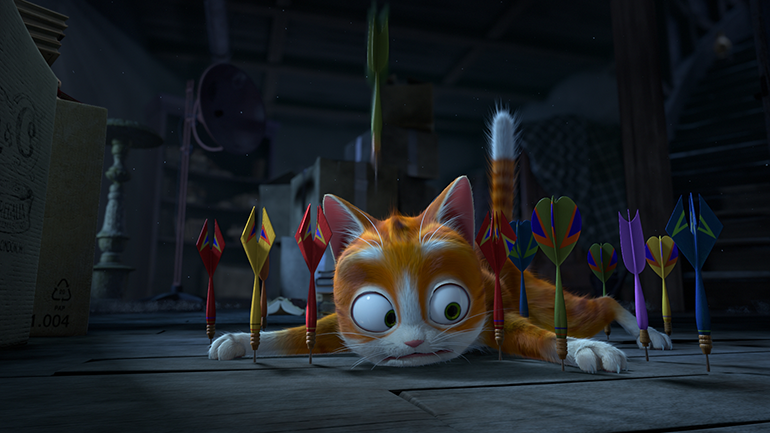 After avoiding a series of magician’s traps and tricks in the attic, he meets Jack the Rabbit and Maggie the Mouse, who immediately feel themselves threatened by this stray cat. Thunder has no choice left… and finds himself on the street again. Alone and frightened, he will be rescued in an unexpected twist. 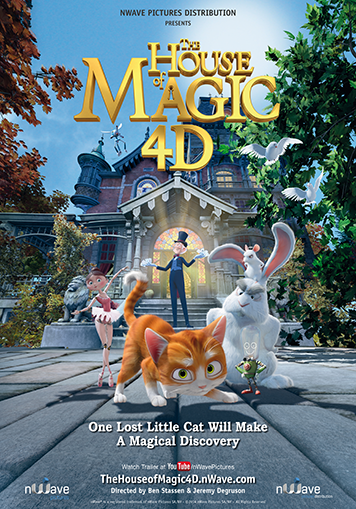 ” The House of Magic 4D “ is an endearing family-friendly tale, filled with fun characters and non-stop action. Featuring eye-catching animation and an immersive 3D experience maximizing “in-your-face” effects, you’ll find yourself in the middle of the chaos, cheering on our adorable hero while seeing the world from a whole new perspective.